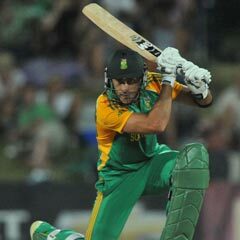 Johannesburg - South Africa won the toss and chose to bat first in the final Twenty20 international against New Zealand in Port Elizabeth on Wednesday. Justin Ontong replaces the out-of-form Richard Levi, and will play in the middle order. New Zealand are unchanged from the side which levelled the series, winning by eight wickets in East London on Sunday. South Africa: H Davids, F du Plessis (captain), Q de Kock (wk), F Behardien, D Miller, R Peterson, J Ontong, R McLaren, R Kleinveldt, A Phangiso, M Morkel.